A DCU is a physical slice of the server. 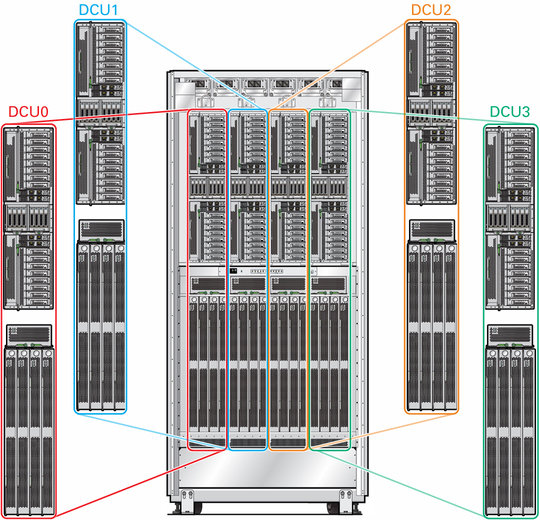 Each of the four DCUs contains CMUs, I/O components, and hard drives. An SPP in each DCU manages these components. Scalability is the ability to increase (or scale up) processing power in a server by combining DCUs into logical groups called PDomains. A PDomain can be made more powerful by adding more DCUs.